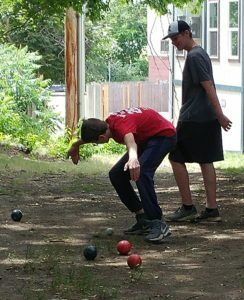 The game of Pétanque is a sport that falls into the category of boules sports, along with Raffa, Boccee, Lawn Balls, and Green Bowling. 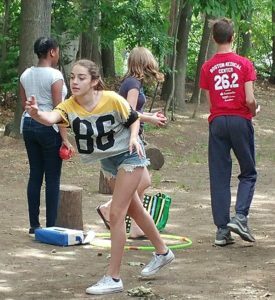 All of these sports share something in commonon, in that players or teams play their balls toward a target ball. 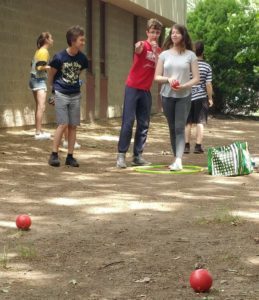 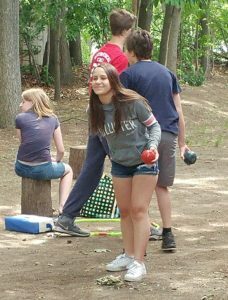 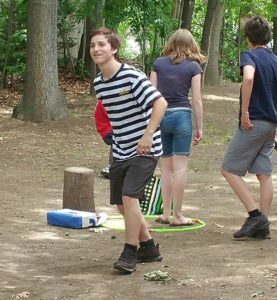 McAuliffe's 8th grade French scholars learned the French game of Petanque. 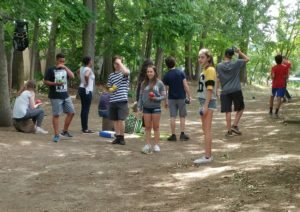 They first grappled with the text of the rules and then went outside to play.